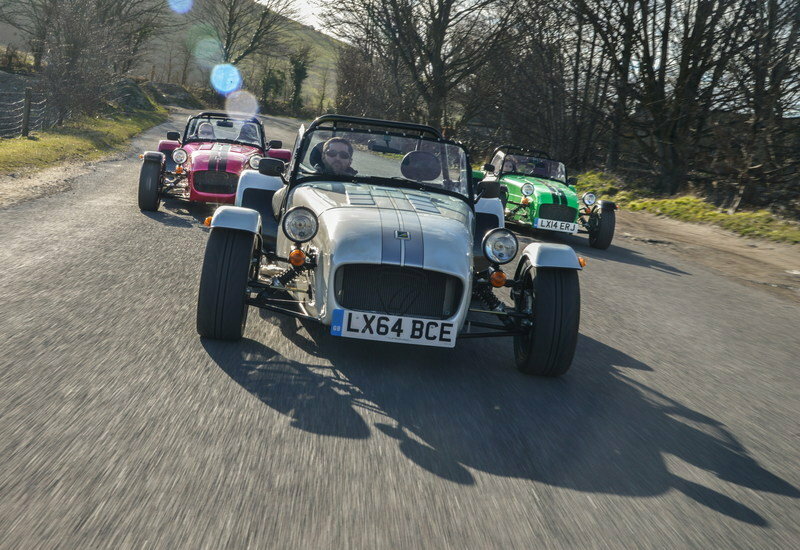 It’s not often that we see a small manufacturer such as Caterham launch more than a couple of new models a year, but the Brits have outdone themselves in 2015 by introducing no fewer than three Seven cars. At the same time! Initially announced back in December 2014, the new models come to replace the Roadsport, Superlight, and Supersport models, but the big news here is that Caterham renamed them based on their power-to-weight ratios, resulting in a less confusing naming strategy that will make things a lot more simple for customers, especially those not very familiar with the Caterham brand and its products. Having already taken a deep dive into the 420 model (not to be confused with the U.S.-spec 480), it’s time to take a closer look at the Seven 270, which replaces the Roadsport 125 and slots between the entry-level 160 and the 360. The 270 brings many updates over its predecessor and benefits from the company’s new equipment packages that turn the sports car into either a daily driver or a more track-focused machine. Find out more in the review below. 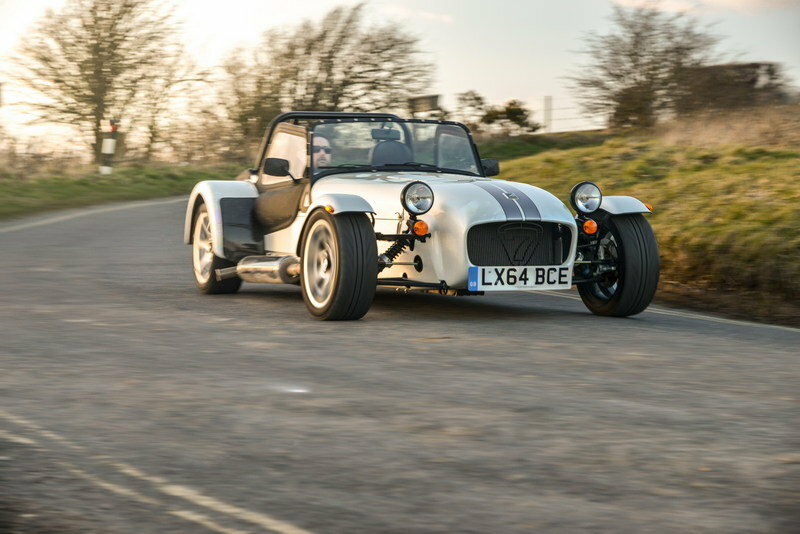 Continue reading to learn more about the 2015 Caterham Seven 270. On the outside, the Seven 270 is identical to both the 360 and 420 models, with only minor details setting it apart from the entry-level 160 and the range-topping 620R. 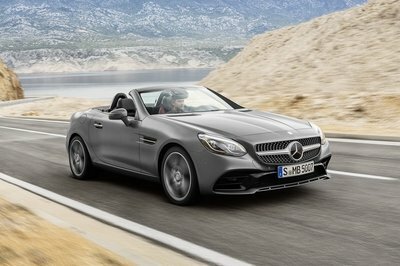 The model shown here sports the same V-shaped hood, cycle front fenders and separate headlamps that make Sevens instantly recognizable on the road. Other classic features include the old-fashioned windscreen, the rollover hoop, the side-exiting exhaust and the squared taillights. The 270 badges on the hood and the left rear fender help set it apart from other Sevens. The 270 can also be had in both the standard S3 or wide-bodied SV chassis. The S3 is the compact Seven layout that’s been around for five decades, while the SV version provides increased interior and luggage space due to the greater width and length of the car, and a more comfortable ride for drivers over 6’2". The SV option adds only 55 pounds to the standard car’s 1,190 pounds. Specifically, the R Pack replaces the standard dashboard and center tunnel with carbon-fiber pieces, while the latter also gets a leather top. 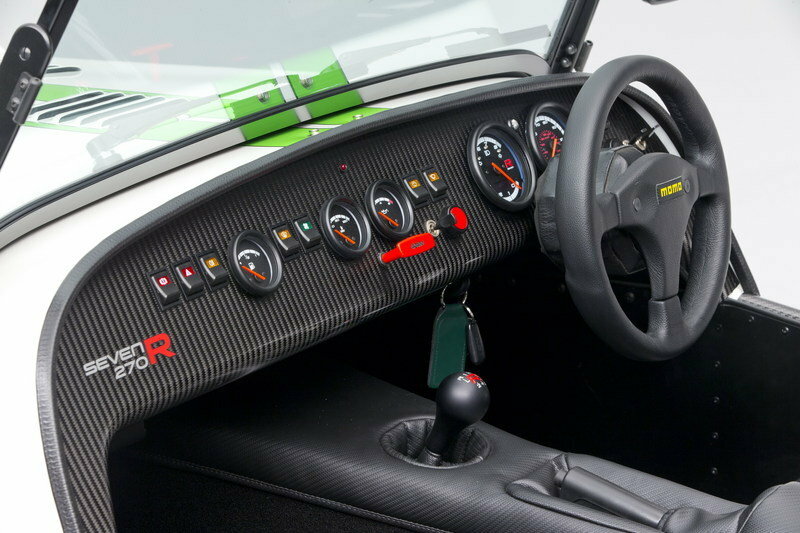 The 270’s interior is also standard Caterham business, consisting of a simple dashboard with classic gauges, buttons, and knobs, a tall center tunnel, and a Motolita steering wheel. The standard car comes with rubber floor mats, black cloth seats, and diagonal seat belts. The options list, however, provides plenty of upgrades, such as a lowered floor, Momo steering wheel, heater, and a 12V socket. There are four seat choices available here, as well as race-spec, four-point harnesses. More equipment is available with Caterham’s new S Pack and R Pack bundles. The S Pack, which is geared towards the casual road driver, adds carpet to the floor, a full windscreen, black leather seats, and unique key, gear shifter, and instruments. Customers that plan to spend their weekends at the track will want to go with the R Pack, which includes a wide range of race-inspired goodies on top of the features that come with the S Pack. Specifically, the R Pack replaces the standard dashboard and center tunnel with carbon-fiber pieces, while the tunnel also gets a leather top. A pair of composite race seats and a shift light are added for a more track-focused experience. The R Pack also brings numerous upgrades to the drivetrain and chassis. A suspension upgrade pack is listed among the options, but Caterham didn't provide additional info. Motivating the Seven 270 is a 1.6-liter, four-cylinder, Ford Sigma engine with variable-valve timing technology. The four-pot is rated at 135 horsepower and 122 pound-feet of torque, which translates into a 10-horsepower upgrade over the outgoing Roadsport 125. With a power-to-weight ratio of 250 horsepower per tonne, the 270 needs five seconds to hit 60 mph from a standing start on its way to a top speed of 122 mph. 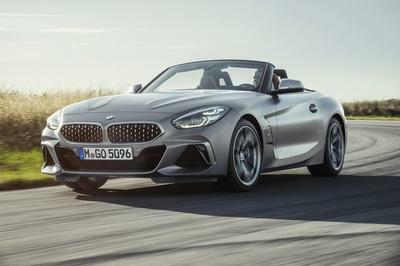 The power is routed to the wheels through a five-speed manual gearbox, but customers can upgrade the car to the optional six-speed transmission and a limited-slip differential. The standard car runs on a double wishbone suspension with Bilstein dampers at the front and a De-Dion semi-independent suspension with radius arms and A-frame linkage in the rear. A suspension upgrade pack is listed among the options, but Caterham didn’t provide additional info. Other options include ventilated front discs and quad-piston calipers, a rear anti-roll bar and six wheel-and-tire combinations. If the R Pack is selected, the 270 will also receive a lightweight flywheel, an uprated brake master cylinder, and a sport suspension. Pricing for the Seven 270 starts from £19,995 in the UK, which converts to around $26,700 as of 03/26/2015. Unfortunately, the 270 won’t be offered in the United States, meaning enthusiasts on this side of the pond will have to settle for the 360 and 480 models sold here through Superformance. 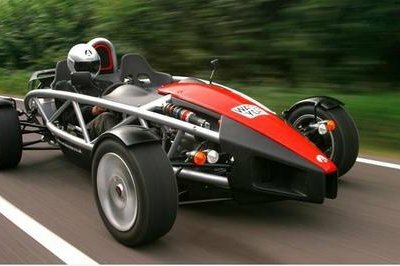 The Ariel Atom may not have the heritage as the Caterham Seven, but this British vehicle is a great alternative for those looking for a track toy. The Atom features a much simpler design, with a wrap-around roll cage replacing most of the body panels, while power is provided by a Honda-sourced, 2.0-liter, four-cylinder engine rated at 245 horsepower and 155 pound-feet of torque. As these figures suggest, the Atom is a lot quicker than the Seven 270, needing only three second to zip from 0 to 60 mph. 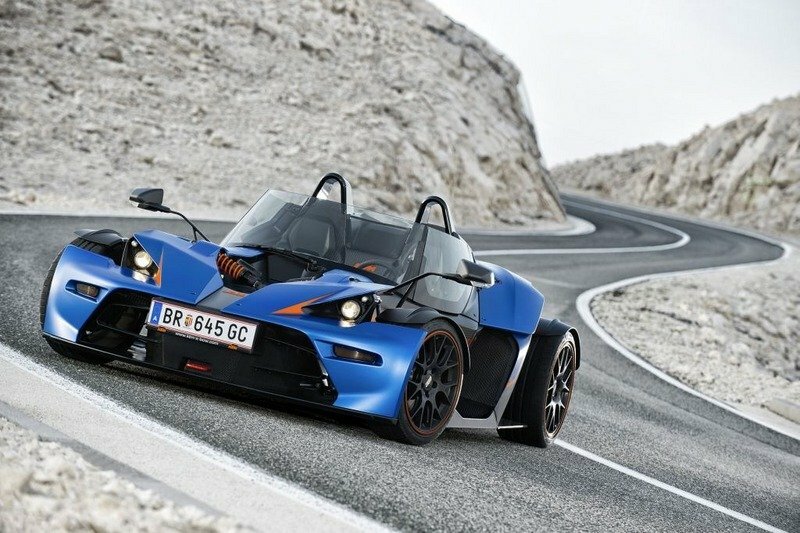 In the U.S., Ariel offers the Atom S, an updated version that comes with F1-style pods, a full glass windscreen, a larger, 2.4-liter engine that cranks out 365 turbocharged horses, and an optional race-spec, sequential gearbox. Pricing is set at $89,975. Find out more about the 3S in our full review here. Much like the Caterham Seven, the KTM X-Bow comes in many shapes and sizes, and with engines that can deliver in excess of 300 horsepower. The X-Bow GT is the company’s mildest version, sporting an Audi-sourced, 2.0-liter, four-cylinder engine that packs 281 horsepower and 310 pound-feet of twist. 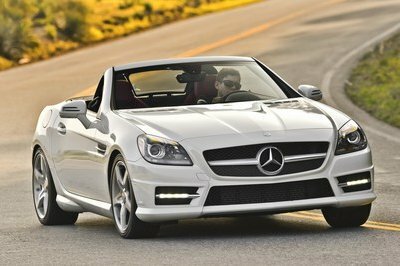 Routing all that power to the wheels is a choice of six-speed manual or DSG transmissions. Although not as fast as the Ariel Ariel Atom, the base X-Bow is quicker than the Seven 270 from 0 to 60 mph, at 4.1 seconds. Top speed is also higher at 143 mph. Pricing for the X-Bow starts from $88,500. Read more about in our review here. The Seven 270 might seem only a slightly updated Roadsport 125 at first glance, but the new S and R packs are what make it truly special. The new options give customers more freedom when customizing their Sevens, while also enabling them to opt for different configurations to suit their needs. Not quite as brutal to drive on the street as the 420 or 620R, the 270 is the perfect candidate for the S Pack trim, which makes it more comfortable for longer trips. The R Pack, on the other hand, turns the Seven 270 into a lightweight track toy that’s not as expensive as the range-topping 620R, but significantly quicker than the base 160. 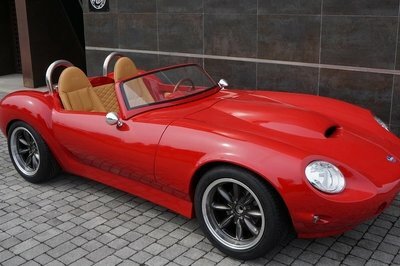 If only Caterham would bring it to the States. 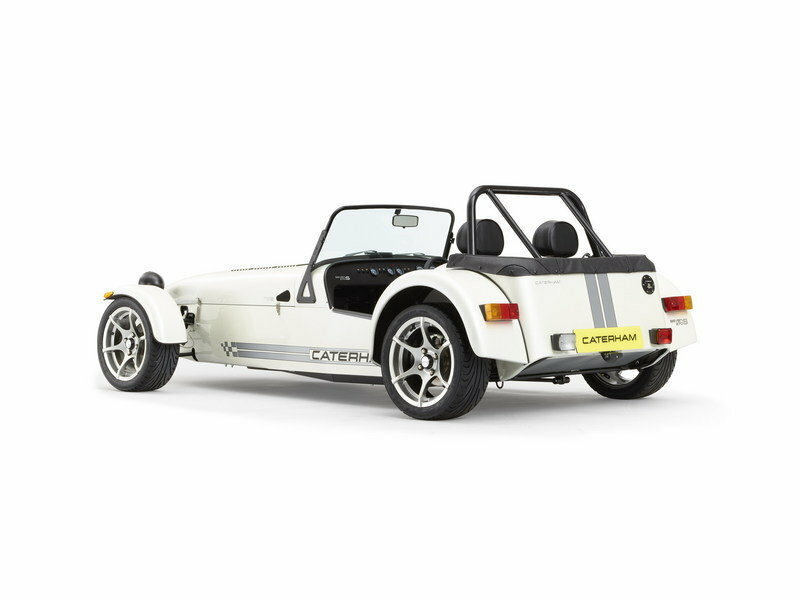 Like all Sevens, the new variants adhere to Caterham’s brand mantra of delivering ‘accessible fun’ through the traditional Caterham minimalistic, lightweight approach to sportscar engineering. The three new vehicles sit between the existing range bookends – the entry-level Seven 160 and the supercharged 620R, the most powerful production Seven ever built. Launched in 2013, the Seven 160 embodies the pioneering spirit of early Sevens with its compact 3-cylinder engine and live-axle rear suspension. Next up is the new 270 model, powered by the latest-generation 1.6 Ford Sigma engine with variable-valve timing technology and offering a 10bhp power upgrade from the outgoing Roadsport 125 it replaces. Sitting in the middle of the range is the Seven 360, which runs the same 2.0 Ford Duratec power unit as Caterham’s flagship R300 race cars, offering the perfect balance between road and race track. The penultimate model in the line up is the Seven 420, which features a dry sump and is also powered by the 2.0 Ford Duratec, although benefitting from modifications which offer 210bhp. 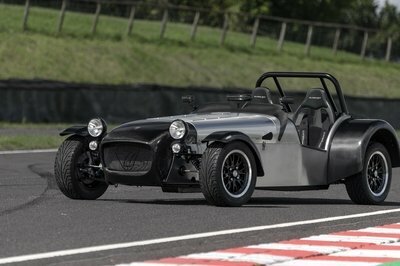 At the top of the range, is Caterham’s mighty 620R, which also runs a finely-tuned 2.0 Ford Duratec that pumps out an extreme 310bhp and reaches 0-62mph in 2.8 seconds. The ‘S’ pack is geared towards the casual road driver and includes creature comforts such as a fully-carpeted cockpit, full windscreen, hood and side screens and leather seats. Meanwhile, the ‘R’ pack is more track-focused, whilst retaining its road car status by offering limited-slip differential, sports suspension and a four-point race harness.